To start off, I will be sharing some tips on going on a working holiday/ work exchange in New Zealand. It seems that people normally choose to go United States for working holiday as it is more organized and USA seems like a more exciting place to be in. Initially, I had similar thoughts as well. But, the working holiday experience in New Zealand has proven me wrong by being more than exciting and enriching. Of course, there were some challenging moments during my time in New Zealand which was one of the reason which prompted me to share my information to readers out here. With this post, I hope that people who are planning to go or interested to go would be able to have more information which could possibly help you along your journey! Okay, I really fell in love with New Zealand during the 3 months or so I spent there so I really want to share with people the beauty of the country! 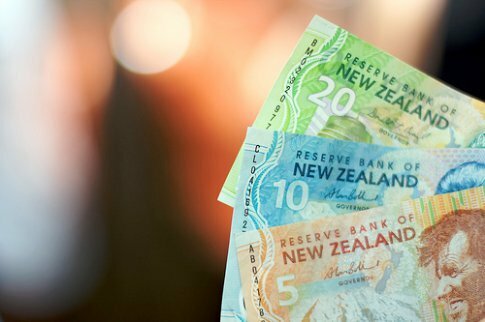 To give you a gist of why I love my days there so much, I shall share with you my personal views on why people should consider going New Zealand. Okay, I guess everyone should know that New Zealand is a really beautiful place. But, beautiful is really an understatement for how amazing the beauty of nature is. Mountains, lakes, streams, greenery, beaches, and starry skies are abundant in New Zealand. Every place has its own set of beauty that has the ability to charm me every time I visit a new place. Even though most people say that South Island is much more beautiful than North Island, I had my share of fun in the North as well. Both islands are different in their own ways and there's so much to explore and do there! I love New Zealand. And, I must say the key factor is the friendly Kiwis around. You won't feel lost there because people will simply come up to you to help you with directions. Even a simple "Hello, how are you?" is good enough to lift your spirits up! Yes, if you haven't heard of the Maori culture in New Zealand before, it is time to know more about them! The Maori people are actually the indigenous people of New Zealand. Yes, I am proud to say that I survived North Island without car. The bus system there is pretty awesome. We got to travel around the cities and towns by bus. They have a couple of bus companies; Naked Bus and Intercity Bus are the 2 main bus companies. Okay, it was not always possible to get to certain places by public transportation. But, it was good that there was the hitchhiking culture in New Zealand. At some places, I simply raised my thumbs up and waited for cars to stop. Of course, it was scary but I would say it is something you have to try in New Zealand! But, please be careful though. There will still be bad people around despite New Zealand being a relatively safe country. Oh yes, and there are also many day tours for people who want to visit attractions but do not wish to drive. So, don't worry about not being able to get to places! Yes, New Zealand is suitable for people of all ages. If you are a thrill-seeker, New Zealand is definitely the place for you. You can skip your meals and fill your days with bungee jumping, skydiving, skiing, and many many more things! 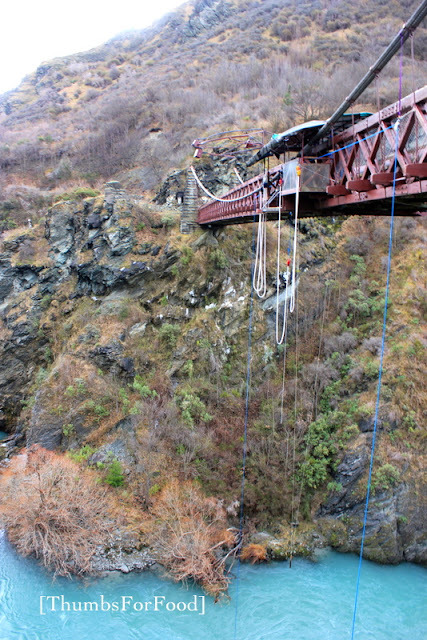 First bungy jump in the world! But, for people who prefer to just sit by the beach/wharf and appreciate the beauty of the nature, New Zealand is definitely a place to go as well. So, people traveling in a group who may have different interests can all satisfy their needs and have fun together! I hope this post hasn't been too boring for you! And yes, I will be up with a Part 2 post which will cover the general details that you have to take note of when you have decided to go on a working holiday in New Zealand! hi, are you going to continue with part 2?